I've been trying to find a way to weave in the Maths strand on Statistics with the uptake of class blogs across the entire school this year. 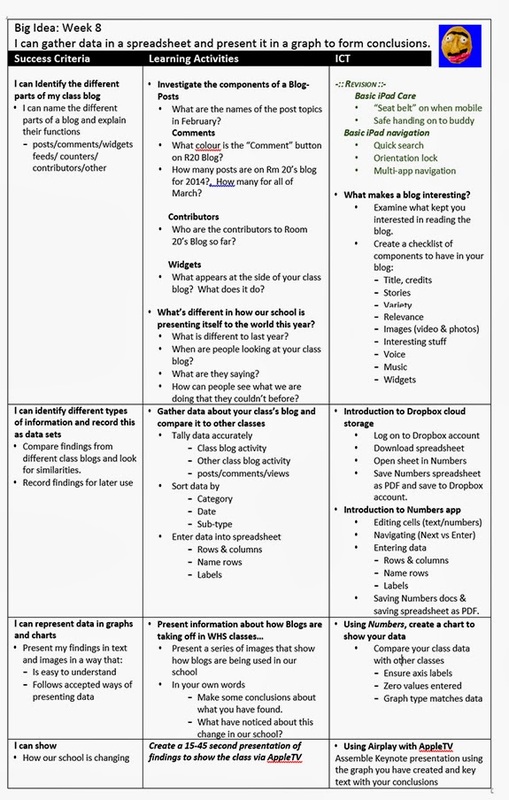 We haven't got the student accounts sorted yet so in the mean time this will help them identify different components of their class blogs and get them doing some comparative research with other classes in the school. My plan for the next few weeks. There may be a few tweaks needed in the plan... here goes.